The moisture proof writing spaces are ideally suited for use in areas with especially high hygiene requirements. These form one entity with the frame and/or cover, thus preventing any penetration by cleaning agents. The text thus remains protected and legible. 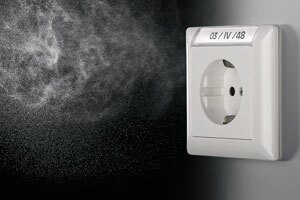 They are available for SCHUKO® sockets in AS 500 and LS 990 and for switches and buttons in AS 500, in each case with and without illumination.